The growth of the rabbinic canon may be best described as a hermeneutical endeavor. Michael Chernick demonstrates how hermeneutical methods helped the Rabbis confront the difficulties that arose when logical and interpretative problems appeared in scriptural and, later, rabbinic texts. Given the Rabbis’ theological, literary, and rhetorical attitudes, these reading strategies were adopted to obviate the problem the texts presented. After all, the Rabbis of different generations viewed these texts as revealed communications produced by a perfect Author. Chernick analyzes and illustrates six midrashic hermeneutics in great detail: outright midrashic resolutions of contradictions in Scripture, distinguishing between what constitutes true scriptural proof and what is merely a support text, a midrashic hermeneutic that transfers the rules of one rubric to another, two hermeneutics that limit interpretive extensions of halakhot, and the claim that two redundant pentateuchal rubrics are needed to ward off incorrect analogies. He highlights the significant changes that occurred in rabbinic legal hermeneutics from the tannaitic through post-amoraic strata of rabbinic literature—some 500 years at least—and shows how these changes attest to the persistence, continuity, and centrality of hermenutic method to the rabbinic interpretive process. Of particular significance is the connection Chernick makes between changes in hermeneutical practice and the changing revelatory status of the non-Pentateuchal parts of the Hebrew Bible and rabbinic legal discourse. His study draws its title from the traditional view of Sinaitic revelation, when God spoke to the assembled people with “a great voice that did not cease” (kol gadol velo yasaf, Deut 5:19). 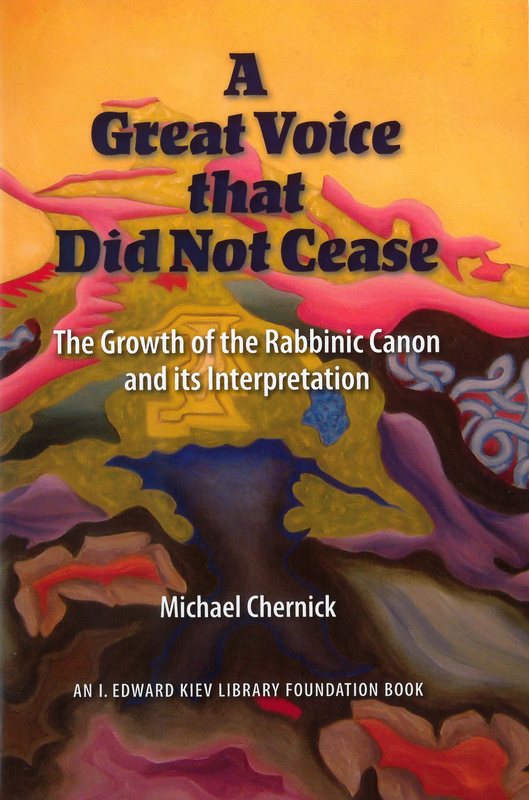 This view, Chernick believes, is at the core of rabbinic Judaism, the Judaism that claims to hear that great voice through the medium of interpretation. Michael Chernick is Deutsch Professor of Jewish Jurisprudence and Social Justice at HUC-JIR, New York. He was educated at Yeshiva College and Bernard Revel Graduate School and was ordained at Rabbi Isaac Elchanan Theological Seminary. He specializes in Talmudic and halachic literature.